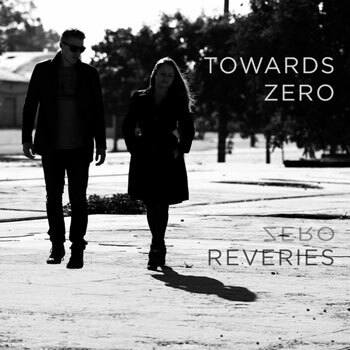 Towards Zero is a band from Ceres, CA, who have released their debut EP entitled “Reveries”. What the band has accomplished on their first recording is truly phenomenal. They have crafted an EP that is so impacting, yet mellow that you don’t even realize that it’s had an effect on you until it slowly starts to seep its way into random moments throughout the day. At the same time the album is truly dynamic, incorporating the best of rock, progressive, pop, electronic and indie into a tight, cohesive collection that is over before you want it to be. Though seemingly negative, this actually warrants the inevitable repeat listens that will undoubtedly follow. Crystal male and female led vocals are layered over fascinating music that seems to have a mind of its own. Trippy bubbly sounds follow with snappy appeal. You never know what to expect next but may find yourself just enjoying the ride. Jangly guitar accentuates as catchy lyrics flow into addictive grooves. From the opening track, the sounds are entertaining, intellectual, and lucid, while several musical styles are explored. In “Intro”, the synths takes center stage and is profoundly beautiful in creativity. The vocals are especially dreamy and you’ll feel like you’re seeing the sound in psychedelic swirls. As the second track “OMW” slides in, you’ll hear traces of wonderful, unusual new blends of sound and harmony. Where most of today’s music is canned, packaged, and corporate surveyed, this feels clean and alive. Towards Zero is anything but predictable. 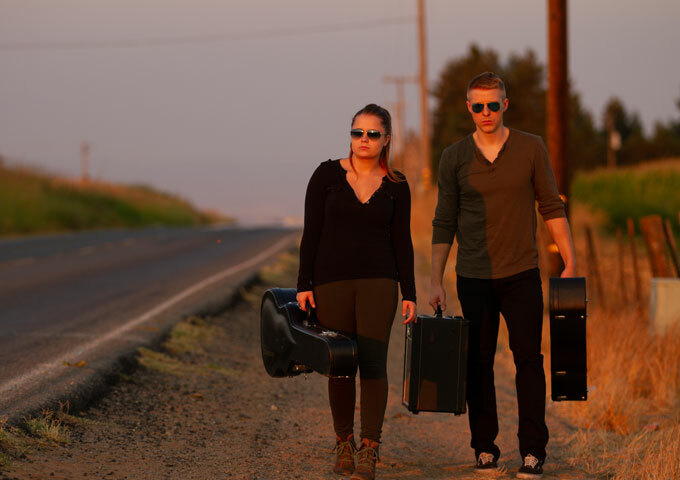 Other than the fact that excellence flows in abundance from their musical and artistic expressions, their music is engaging on an emotional level. Towards Zero are not content to repeat themselves, nor are they afraid to confront difficult musical ideas that many artists don’t frequent. They are crafting music way beyond the masses. On “My Bones”, they take the luxury of intriguing solos, complex songwriting and expansive sounds, and complement them with the melodic smoothness, the warmth, and the earthly core of their sound. The female vocals and harmonies are at their most captivating on this one as the music flows like a winding river. With great depth of soundstage and beautiful complexity this song should be listened to on headphones or a great audio system to hear the nuances Towards Zero place in there, and the crafty positioning of the instruments. “Thief In The Night” might just be the EP’s centerpiece. The music is full of fast swells and quieter lulls; building to peaks and then releases. The guitar work and an emphasis on percussion brings moments of intensity between spaces of lush and intricate vocal arrangements. The band paint a story that is constantly chasing the flux of memory and the metaphysical concern of trust. The tremendously infectious rhythm relentlessly driving the dynamic of the track forwards. “Viola” delivers excellent sound design and production. Its amazing ear candy for active, focused listening. The sound, from acoustic to electric, is very dynamic and three-dimensional, innovative and gorgeous. There are artists who choose to make music because it’s their calling. It comes from their core and they have the burning desire to create something that will ignite our imagination – Towards Zero falls decidedly into this category. “Viola” allows Towards Zero to explore an almost epic avant-garde palette, incorporating bits of prog with several other styles blended into one. As usual, the band delivers poignant and thought-provoking ideas with a superlative arrangement, enthralling melodies and vocals, and touching lyricism. My only question is: If Towards Zero have set the bar this high on their debut, where the heck are they planning to go to next?